Our olive oils are fresh, high-quality, premium, extra virgin olive oils that are Non-GMO Project Verified and many are organic. When most people think of a green Italian olive oil they think of the flavor profile of the Cortina. 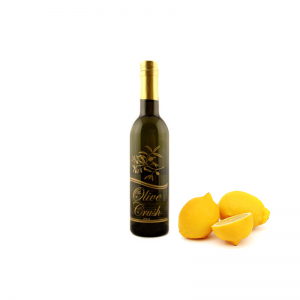 From the Cortina olive, this EVOO has an intensely fruity aroma with some spiciness that is appreciated by olive oil aficionados. 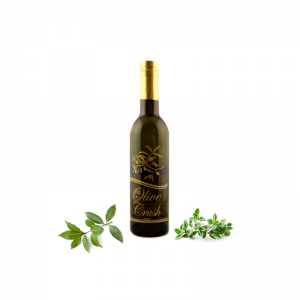 An early-harvest olive oil that has that amazing green olive aroma and peppery finish. Tips: Really puts an exclamation mark on recipes, especially simple ones like tomato and mozzarella, Bruschetta or grilled vegetables. A delicious accompaniment to roasted chicken and fish. Our freshest Gold Medal Extra Virgin Olive Oil. Arbequina olives have become very popular with farmers over the past few years because of the sweet olive oil they produce. 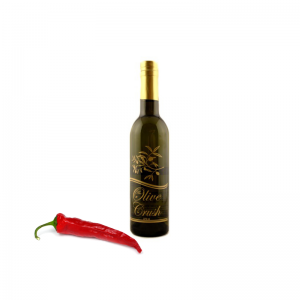 We have found what we believe is the best Arbequina Extra Virgin Olive Oil available. The traditional blend of rich roasted garlic and exquisite olive oil brought to a new level. This EVOO has the essence of fresh garlic added. It is so rich; it tastes like slow roasted garlic and is sure to please all Garlic Lovers! 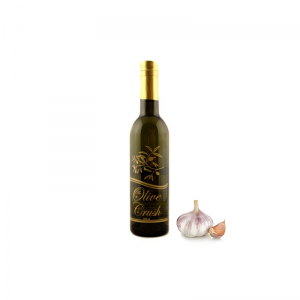 Garlic flavored extra virgin olive oil is an excellent all around choice for cooking. Tip: Especially flavorful with salad, vegetables, bread, pasta, seafood, chicken, and red meat. Mix with fresh herbs for dipping and wherever a clean light garlic flavor accompanying mild oil is desired. The combination of sweet and hot peppers and the fruitiness of olive oil delivers an unforgettable classic Moroccan flavor. popular in North Africa and the Middle East, Harissa is made with chili peppers (often smoked), garlic, caraway, coriander and cumin, which are pounded into a paste and left overnight to develop its flavors. Tip: Great for spicing up grilled and roasted foods or add to hummus for a delicious kick. Marinate Tri-tip or fresh tuna before grilling to add a little kick. Try paired with our aged fruit balsamics for bread dipping or blended as vinaigrette. This award winning extra virgin Hojiblanca from Andalusia, Spain has been a solid favorite at The Olive Crush since we first opened our store. A combination of bold, rich, fruity flavored oil which has sweet tones as well as a slight pepper finish. 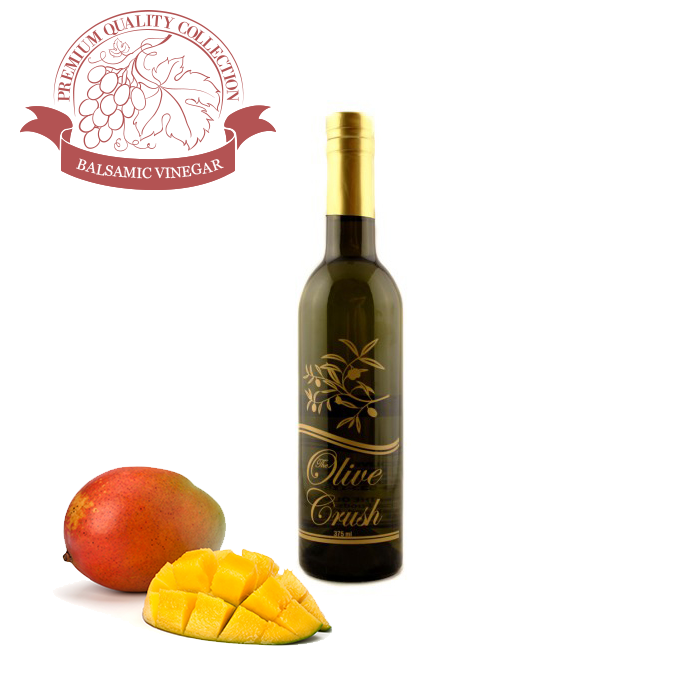 Hojiblanca olive oils are constant top place finishers in international competitions. Tip: Hojiblanca is an all-purpose salad and cooking oil with a special emphasis on topping cooked meats, fish, and vegetables. This Gold medal winning Tuscan Italy variety has unbelievably low free fatty acids of .09 and a high polyphenol count of 343. It is complex and intense. This is very durable well-made oil that will last over 30 months if stored under optimal conditions. It is estate produced. Only 2000 liters left in the world until next year. We taste on a daily basis, the best oils that we can find from Argentina, Australia, California, Cyprus, Egypt, France, Greece, Israel, Italy, Lebanon, Mexico, Morocco, Portugal, Spain, Syria, Tunisia, and Turkey. All of our olive oils are high-quality, premium, extra virgin olive oils.